On 4 March 2019, the Centre of Excellence organizes a Training Session entitled “Analyzing International Organizations: Research Methodology and Planning”. The training will take place at Room D4. Participants, professional from relevant fields having a career path towards IOs or/and EU institutions, will have the opportunity to better familiarize themselves with the challenges of IOs. 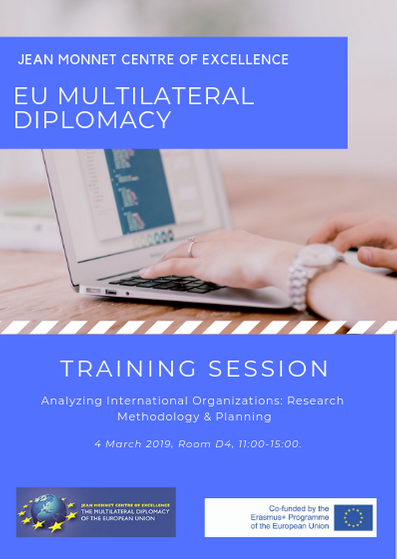 After the completion of the training, they will be able to better comprehend the dynamics of EU/IOs relations and how academic research can provide them useful insights on the processes that govern EU multilateral diplomacy.